Kettles are used for cooking or heating products. 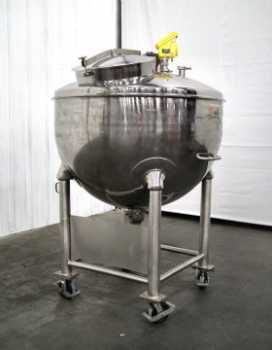 Common sizes with capacities larger than 250 gallons include 350 gallon, 450 gallon, and 500 gallon kettles. 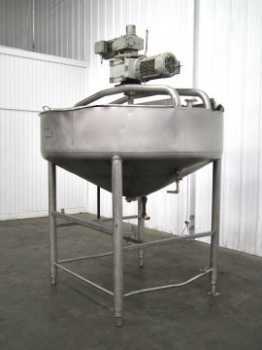 Kettles of this size are commonly used for large batches. 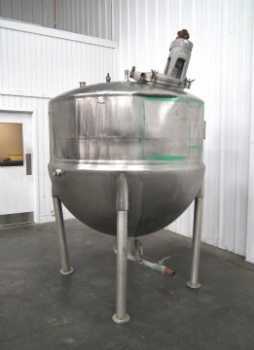 Jacketed kettles can use steam, electric or gas for heating. Some kettles have different kinds of internal agitation or no agitation at all. Internal agitation can include scrape surface which passes a brass or metal scraper along the inside of the kettle to remove the product from the kettle walls. Some kettles have an anchor or upside-down Christmas tree agitator which mixes the product without touching the sides.